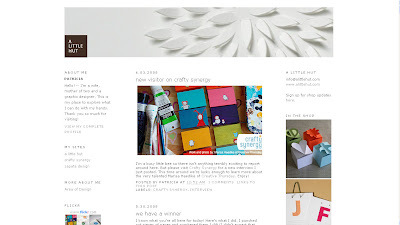 Discovering great blog designs provides me with inspiration for the templates I create. Since the success of the 54 Inspiring and Original Blogger Designs post, I have been bookmarking every great Blogger design I could find to present you with another showcase for your creative inspiration. 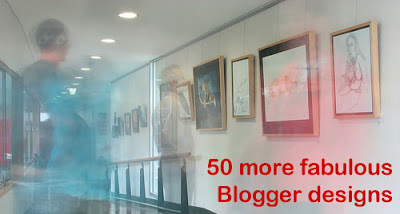 Here you will find a further 50 beautiful and unique Blogger powered designs, organized by style. I hope you will enjoy looking through these amazing blog styles as much as I have discovering them! These designs are truly awe-inspiring! 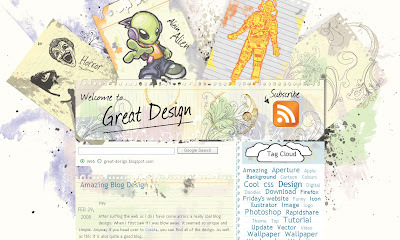 When I first saw this fabulous design featured in Smashing Magazine's latest showcase, I could barely believe this was powered by Blogger! 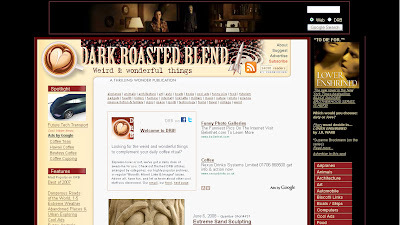 To truly appreciate this blog design, you really must pay this one a visit! The sketchbook style of James Powell's blog reflects the subject matter perfectly. 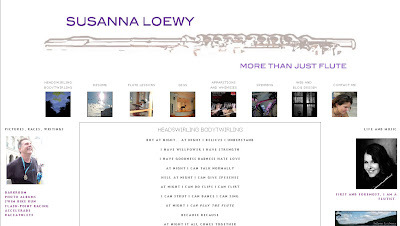 This design is incredibly stylized, with each post designed to match the overall theme. 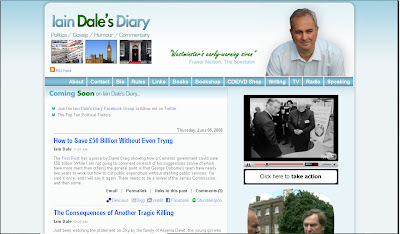 Fresh, clean and very indicative of content, Iain Dale's blog is among the most professional designs I've ever seen. 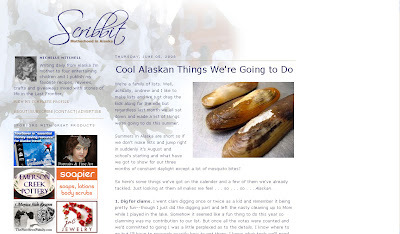 A simply beautiful, one column blog design. 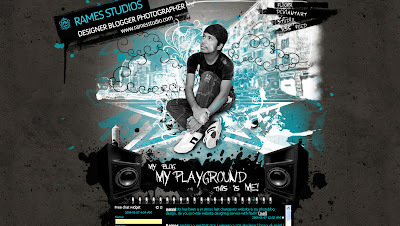 Rames really takes the grunge style to a new level in this elaborate design. 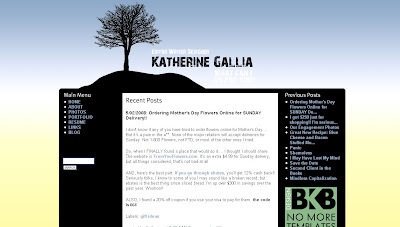 Katherine's elegant layout features color changes according to the time of day! 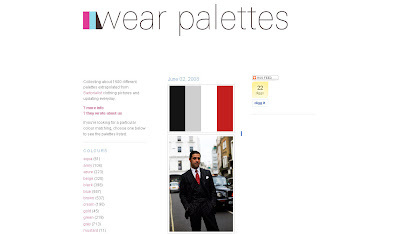 The screenshot above was taken late morning, though altogether there are six different color schemes to reflect the time. This simple, two column layout is set of perfectly by the creative header and the monotone theme which is continues throughout. I love the calm simplicity of this template. The RSS icon stands out perfectly, yet doesn't interfere with the ambiance of the design. 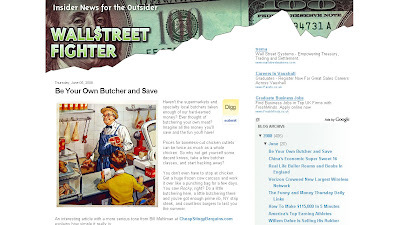 The header banner really sets the scene for this financial blog. Elegant, feminine and incredibly funny: implied by design and supported by content! 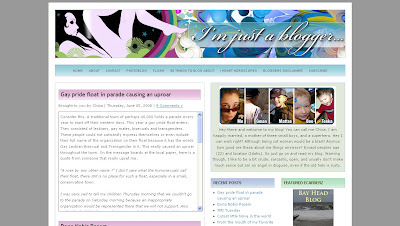 Chica's blog was featured in the previous showcase of Blogger designs, but being recently updated, this beautiful layout deserves a second mention. I love the understated elegance of this simple layout. Here you can see the vivid color of the posts perfectly stands out against an almost monochrome layout. A pale design with touches of color in all the right places. This layout reminds me of architectural structures with its clean lines and simple monochrome design. 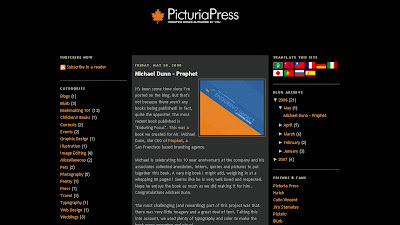 Take a look at the simple cover of the BLDGBLOG book in the right-hand sidebar: it matches the theme so well! 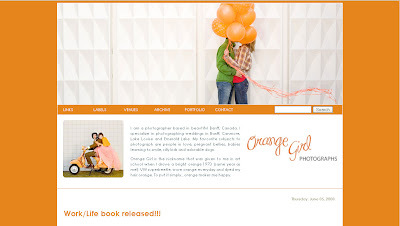 The overall layout of Orangette is very simple and clean, but the choice of header image for the banner is incredible! (Almost as delicious as the content itself!). 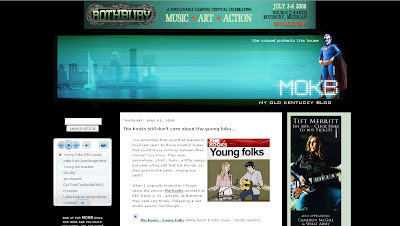 For me, this is an excellent example of how effectively a striking banner can completely change the whole blog design. 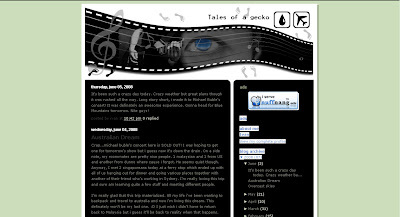 Simplicity is given a unique twist with visual navigation links below the header. 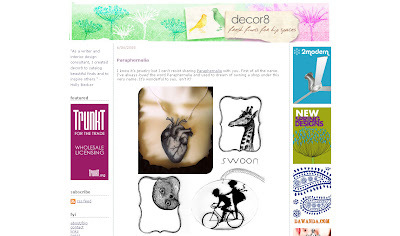 When I think of Decor8, the first word which springs to mind is "Fresh". While the overall layout is white, Holly adapts vivid colors to the header, sidebar and photographs in posts so the content which matters really stands out from the page. 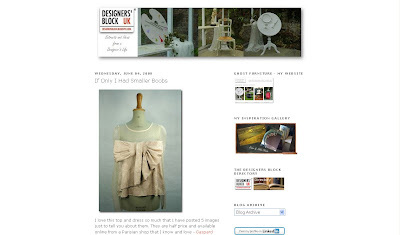 It would be difficult to find a blog design more minimalistic than this! Another simple yet effective design. Take a peek at the incredibly functional navigation menu. 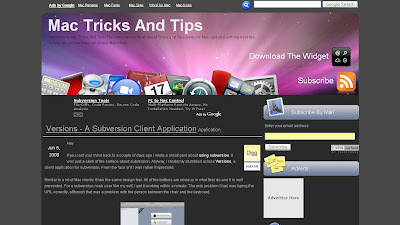 Features a consistent Mac OSX theme throughout, from the stylish header to the sidebar icons. 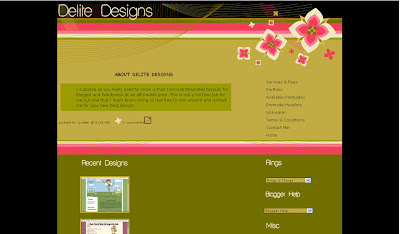 Quirky and distinctive, Delite Designs home page is as unique as the layouts she creates. Some simple modifications to the Rounders template helps this design stand out from the crowd. 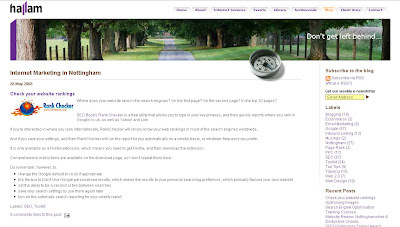 Simple and sleek, this design features defined sections for content and is stylish without appearing over the top. With the playful header and professional appeal, Jakel Daily hits the spot with celebrity gossip. Even the ads are well designed! 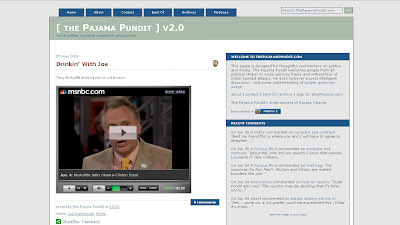 Features a simple three column layout with an unobtrusive logo centered above the content. The posts are highlighted in a slightly paler shade which provides a nice contrast with the pale text. 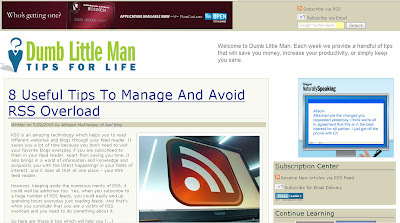 Generally speaking, most blogs feature a wide header banner/section, a wide posting area ans a sidebar or two for extra content and navigation. 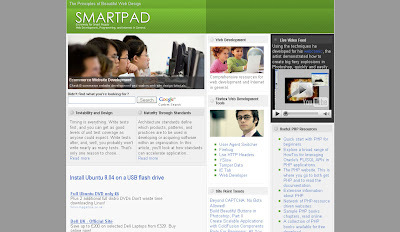 This selection of Blogger templates break the "rules" of web design in some way: their layouts are innovative, interesting and altogether unique. This is a great example of a one column layout. 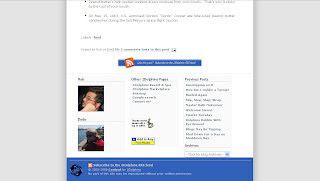 While many bloggers would feature links and archives in a sidebar, here you can see this in the footer section, allowing much more emphasis to be placed on blog posts. 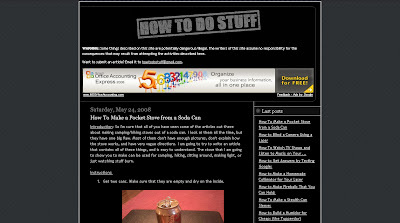 This blog is integrated into the main website. What strikes me most about the design is that it's a fluid three column template. Even the compass changes position when the screen is resized! 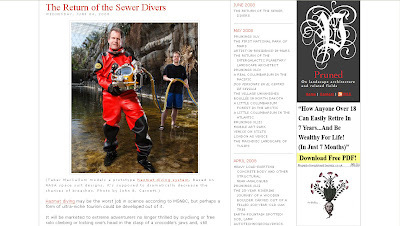 This appears more like a magazine layout than a regular blog design! 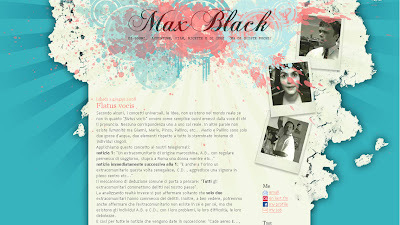 Yet more great Blogger designs! 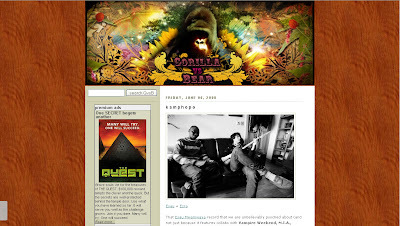 I love to see examples of how bloggers transform default templates into something unique. 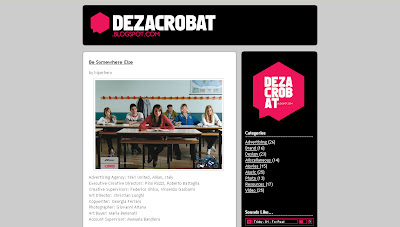 Dezacrobat is based on the popular Rounders theme, but the clever use of color and a striking logo make this template much more memorable. 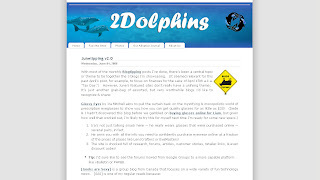 This blog appears more like a magazine, with the most recent post appearing above links to previous posts, and a segmented sidebar for ease of navigation. Very sleek, this design is one which you will easily remember. 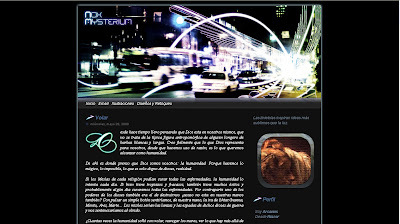 A colorful design with a truly great header section. Take a look at the music player feature in the bottom left corner. Growling Dog Games has just undergone a great makeover (lucky I checked back while writing this post up!). 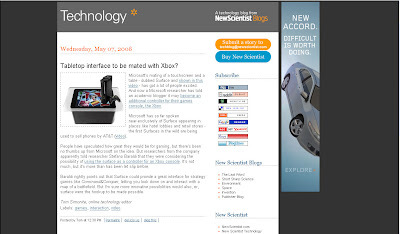 The overall layout complements the theme of video games perfectly, reminding the reader of other sites they may have encountered and reinforcing the sense of professional style. 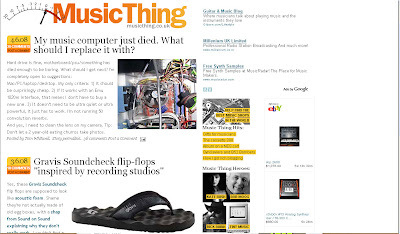 The feature I love most about Music Thing's overall design is the consistency of color highlighting: the header, post meta-data (date and number of comments) and important sections in the sidebar use similar shades of yellow and orange to draw attention to them. When I look at Poppytalk's design, the only phrase which springs to mind is "handmade elegance". I can't think of a better way to describe it! 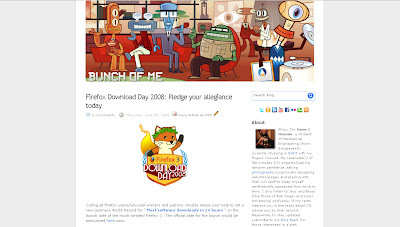 The header is so well designed, perfectly in theme with the blog content. 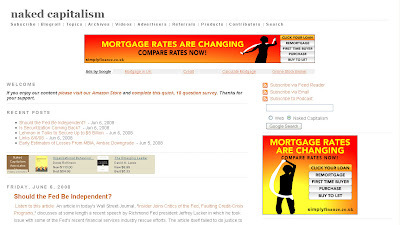 Even the ads are a complement: they appear as though designed to match the template rather than something which was added afterwards. I like how the informal "torn paper" (or should that be burned paper?) is used to great effect in this template. With cool calming colors throughout, this template makes excellent use of tabs and mouseover effects. 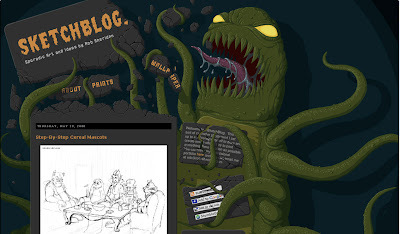 Recently featured in Blogger's Blogs of Note, Drawing Day is another blog which is well integrated into a static website (and features a great logo too!). 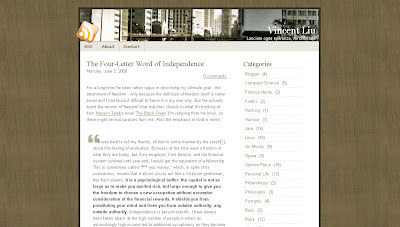 I hope you have enjoyed perusing these excellent examples of unique Blogger templates, and that this post may provide you with inspiration for your own designs!